This unsweetened version of The Morning Motivator came to be because many of our customers asked for a version that would be similar to a strong coffee without any type of sugar added. Like the sweet version it will help to boost energy and mood in a more sustained way than coffee or tea. In other words, you shouldn't have a crash after enjoying it. Please note that results may vary from person to person. You can simply mix the powder into your favorite drink, warm or cold. Some people even mix it into their coffee! 1 T of powder works well with 8 ounces (1 cup) of liquid. You can increase or decrease the amount to suit your tastes. It's important to note that 1 T (9G) of The Morning Motivator contains 1 t (3g) of Maca powder. Maca is a food and you can't take too much, so you may still take your standard daily serving of Maca separately if you like. The Morning Motivator is designed to energize you, so keep that in mind when you take it. We recommend taking it at the start of your day to get your energy moving or in the middle of your day to sustain your energy. If you take it later in the day, however, you may find it difficult to sleep. Preparation: Place all ingredients in a blender and mix thoroughly. Enjoy immediately. If you have any favorite ways to use The Morning Motivator please send them in and we'll share them with the rest of The Maca Team. Please note that we are not doctors and that the answers below are not a substitute for medical advice. If you have any doubts about using The Morning Motivator please consult your preferred health care practitioner. Is The Morning Motivator Raw or Pre-Cooked? 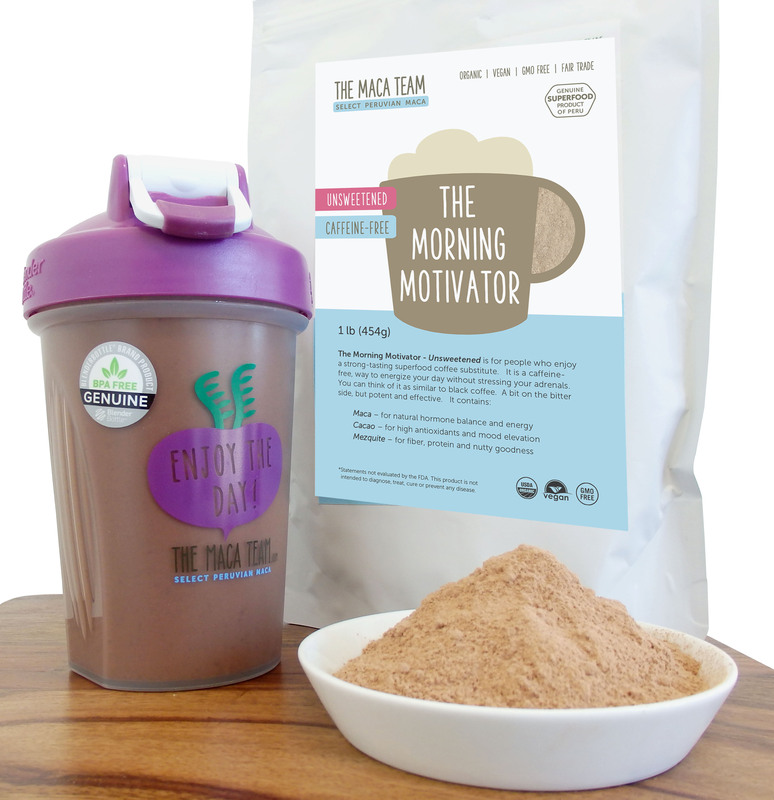 -The ingredients in The Morning Motivator are Raw except for the Maca, which is Gelatinized or pre-cooked. We've chosen to use Gelatinized Maca because it is suitable for all people, whereas Raw Maca can cause minor digestive issues for some people. Because Gelatinized Maca is more concentrated most of the nutrient levels remain consistent with Raw Maca. Do I also take my regular Maca, or is The Morning Motivator a replacement for that? - It really depends. 1 T of the blend contains 1 t of Maca. If you are only taking 1 t of Maca daily, you could use The Morning Motivator as a replacement. If you take more Maca usually, then we'd recommend taking that as well - either with your Morning Motivator or separately. How many times a day can I take The Morning Motivator? - As a food, you can't really take "too much" and you can take it a few times during the day (like having a few cups of coffee). That said, we'd suggest that you don't take it later in the day and not within 4 hours of bedtime. Will my heart rate increase when taking The Morning Motivator? - It shouldn't but for some people the mixture of Cacao and Maca does have that effect. If you notice an uncomfortable increase after taking the blend, please reduce the amount which you are taking by at least 1/2. Can I take The Morning Motivator if I have high blood pressure? - Because it contains Maca, it is possible that the blend will help circulation and actually reduce blood pressure. Please monitor your blood pressure when using The Morning Motivator and consult with your health care provider for any questions you may have. Can I take The Morning Motivator if I have diabetes? - Type 2 diabetics can take the blend, but should remember that the coconut sugar in the blend has an average glycemic index of 35. Although that is lower than table sugar (GI 58), it still shares many of the properties of sugar. Can I take The Morning Motivator if I am pregnant or breast feeding? 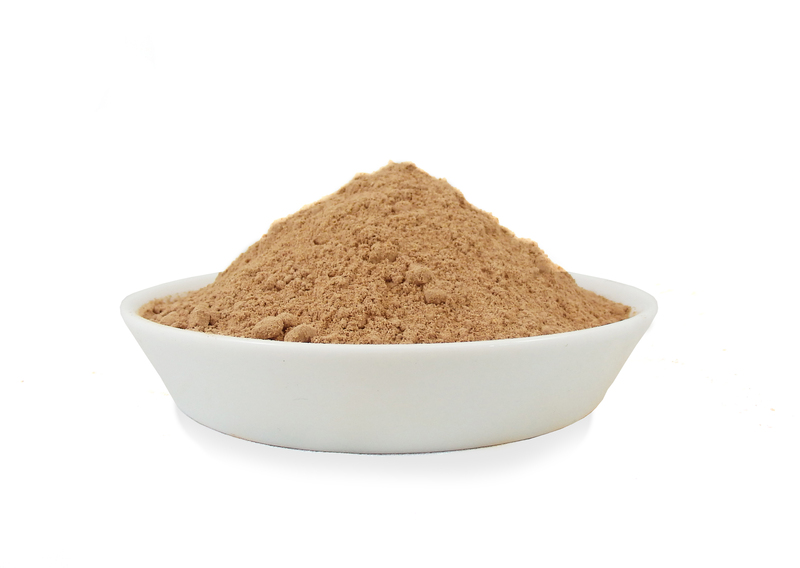 - Maca in general is used throughout pregnancy and breast feeding in Peru. We've also had many clients that have used it. That said, every body is different and it may not agree with some women during this phase of life. If that is the case for you, please discontinue using the blend. Can children take The Morning Motivator? - Yes, but in smaller amounts. About 1/2 T per 50 lbs of weight is a good starting place. Are there any side effects? - None that we've seen so far. Remember that this blend only contains whole foods that are eaten regularly by people all over the world. Can I take The Morning Motivator with my medications, herbs, supplements? - This is a great question. The general answer is that the blend is a food and should not interfere with any herbs, supplements or medications. However, if you have any doubts, we recommend that you take only a small amount to start with and monitor your reaction. If you have any other questions please let us know and we'll get them answered for you as quickly as we can - and also add them here for others to see too. The Morning Motivator contains no nuts or seeds and is processed and packaged in a nut-free environment. We strive to offer the best deals possible on shipping and usually ship out using USPS in North America. International orders ship out using USPS Global Priority Air Mail. Order multiple products and save – shipping costs go up very little for orders of multiple products. It’s helped me cut back on coffee! BEST SUGAR FREE "COFFEE" BLEND EVER! !